There has to be a first day, so make the most of it. Take roll; make sure everyone is in the right place. Give out the textbooks. Explain about calculators and so on. A word about reviewing at the beginning of the year: Don’t! 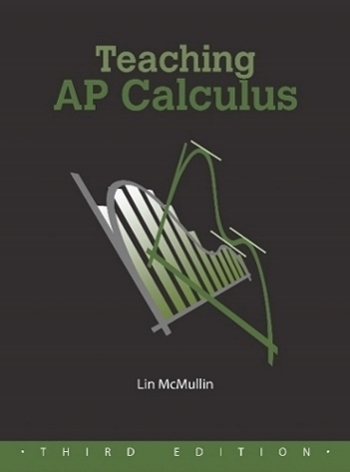 If you textbook’s first chapter is a review of pre-calculus, then assign the class to read this chapter. Tell the class that the next day your will answer any questions they have and, after that, for the rest of the year they should refer back to this chapter when they need more information on these topics. Start day 2 with your first lesson on limits. Plan to review material from Kindergarten thru pre-calculus when the topics come up during the year – and they will come up. In some cases, plan for them to come up. For instance, the year usually begins with the study of limits. In connection with limits you will be looking at lots of graphs: this is a perfect time to review the graphs of the parent functions, a lot of the terminology related to graphs, discontinuities, asymptotes, and even the values of the trigonometric functions of the special angles. Months from now you will teach about the derivatives of inverse functions. That is when you review inverses. Review inverses now and you will have to do it later anyway. July 31, 2012 in The Beginning of the Year. Tags: Aug. I have profited from many of your comments and suggestions over the years through the AP Calculus Discussion Group. However, I must respectfully disagree with you on your suggestion to begin day 2 with limits. Begin with the basic dilemna of differential calculus – how do you determine an instantaneous rate of change? The search for a solution inevitably leads to the need for a new mathematical technique (and as an aside some pretty good discussions about numerical techniques and approximations). It’s much more exciting and motivating to learn a new technique when you recognize it is the key to solving your problem. Do you also teach BC Calc? I’ve been teaching the AB for 8 years, and this is the first time I’m teaching BC. Do you have suggestions on where to start on days 1 and 2? I assume the students have not taken AB last year. If that is the case then start the same way probably with limits. The difference is is that you have more to over, so you need to move faster then in AB. But you start the same place. Certainly, don’t spend time reviewing. Thanks Lin. I thought I might hand out the list of prerequisite skills published in our APSI manual and tell them that I am available after school for tutoring or review if they feel they need a refresher.